What’s your weirdest food craving? SEAWEED CHIPS / STRIPS: I think this has a lot to do with salt, particularly potassium, magnesium and calcium. I always always crave sushi when I’ve had a few drinks the nights before which is most likely due to higher levels of sugar in your bloodstream so we tend to crave salty foods. These three essential minerals are removed from your average table salt so even though you load your dinner plate with salt & pepper all it’s really doing is momentarily satisfying your taste buds. Seaweed is full of good vitamins & minerals and its far from an unhealthy snack so I would tend to embrace this craving happily. GHERKINS: Also commonly associated with the need more salt and is a common craving felt by pregnant women. Rule that out & then incorporate some proper sea salt in your diet to ensure you are getting enough of the good stuff. ICE: Some of my friends have a constant craving for ice cubes. Apparently this can be due to a lack of iron in one’s diet. Do you get enough? In my opinion most females don’t eat nearly enough red meat which is one of the richest sources of iron. Girls when was the last time you had a big juicy steak! Leafy greens, chicken and fish are also good sources of iron. SODA WATER: does your diet lack calcium? Craving soda water or ‘fizzy’ drinks can indicate this. Not being able to eat dairy means mine most certainly does. I have a calcium supplement which I take every other day BUT it’s important to look for calcium in proper food options. Good choices are broccoli, kale, legumes & turnip greens. BACON: Probably because bacon is probably the most delicious thing EVER. Seriously often people crave bacon for its fat content. If you are on a restricted diet your body may be craving greasy foods that are slightly higher in fat. CHOCOLATE: if you say you have never suffered severe chocolate cravings you are a liar. If I flew around the world and asked 1 million people if they had ever craved chocolate I think I would have a 90% yes response. How can you not… chocolate in most shapes and forms is sooooooooo damn good. Why the cravings? Lack of magnesium. Magnesium is the fourth most abundant mineral in the body. I’ve spoken about its importance before, it’s essential to so many of our daily life processes. The cocoa bean is one of foods with the highest amount of magnesium. Slow down boys & girls that’s only in its purest form. You need to consume chocolate at least 70% cocoa to get any sort of benefit & even then sometimes the calorie / fat consumption may not be worth it. Magnesium can be sourced from other foods such as leafy greens, nuts & seeds. If you are going to indulge… Coconut infused lindt dark chocolate may change your life a little. CHEESE ON TOAST: Cheese generally is due to a lack of calcium & essential fats. Craving bread or toast is related to lack of nitrogen. Load up on nitrogen via foods such as fish, meat, nuts & beans. THE TASTE OF BURNT FOOD: this one is a little odd, but I’ve had days where I really want that charcoal taste you get from the grissle on the bbq. This can indicate a lack of carbon & you should reach for some fresh fruits such as berries, apples and pineapple. 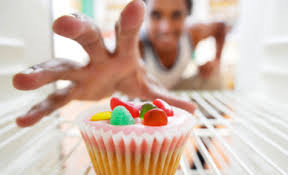 Cravings are usually our bodies way of letting us know we need something & its usually pretty spot on. If you eat a well balanced diet you should get enough of the right stuff to keep the naughtiest of cravings in check. Remember though sometimes we just need to let go and indulge in our favourite sweet treat. For me that’s an almond magnum…. and I just might have one of those this evening! Previous Article Stubborn hip pain? Maybe its trochanteric bursitis.